Houses of worship are particularly vulnerable to fraud, but most feel they are impervious. 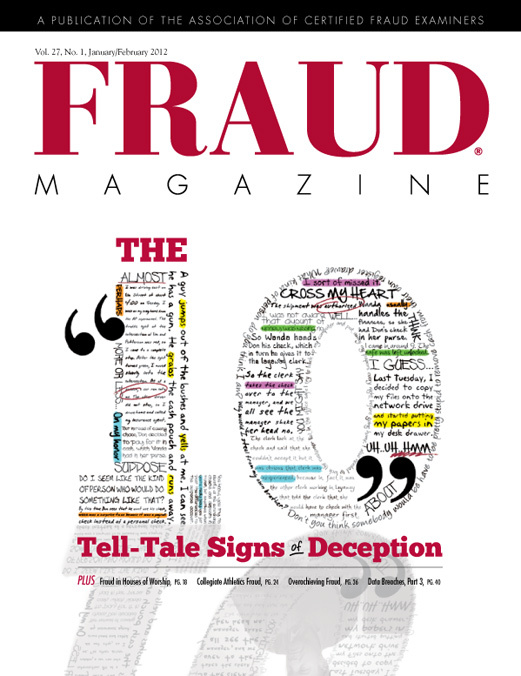 The authors provide reasons why churches feel so bulletproof and seven practical steps fraud examiners can use to help churches stop fraud in its tracks. A major, multimillion sports ticket fraud at the University of Kansas highlights how CFEs can help convince administrators and boards to reassert control over their athletics departments. The answer could be independent oversight. In Memoriam: Major Karl J. Flusche, CFE, USAF, Ret. Convicted embezzler Diann Cattani discusses how she first began down the slippery slope that eventually led her to steal $500,000 from her employers. Suspects and witnesses often reveal more than they intend through their choices of words. 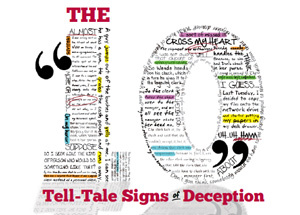 Here are ways to detect possible deception in written and oral statements. Follow this CFE consultant as he uncovers top collection reps at a business call center who inflated their performances for more money and job advancement. The authors’ analysis of data-breach statistics shows that organizations poorly protect personal data. Possible solution: U.S. federal rules for guidance in developing comprehensive data protection programs. Do you carefully vet your LinkedIn Requests or accept every invitation?